If you have never heard of the Médoc marathon, then you must imagine a classic marathon with 10,000 folks wearing some crazy costumes running and drinking wine… More than 30 châteaux, 50 music bands, 23 wine tastings plus some delicacies such as oysters, foie gras, entrecôte… Yes it is unique in the world, soooo French and so much worth a try 🙂 I have ran it every year since 2012. So please follow these few tips if you would like to give it a try too. There are only 2 hotels in Pauillac and they are always sold out for the marathon. Try to look a bit further, between Bordeaux and Pauillac, in places such as Eysines (Hôtel Première Classe, Kyriad and Formule 1 are of very good value, under 100€/night) or Le Pian Médoc (Golf du Médoc Resort, outstanding service and location for less than 150€/night – I have used it three years in a row). For those who do not need much sleep before a race, you can try the camping Les Gabarreys in Pauillac. But be aware that the Médoc marathon is a festive marathon so there will be a lot going on in the streets of Pauillac at night 🙂 A bit further there is also or Camping Cap Océan in Carcans, which we used last year (we rented two mobilhomes and booked them in March, right after having received our registrations confirmations). Last but not least, AirBnB offers plenty of options. This is great if you come with a group of friends. You will find many places 30 minutes drive from Pauillac. But there again, make sure to book as soon as you registration is confirmed (pls see above). I recommend staying two nights (Friday through Sunday) to experience the full “marathon feast”. There are lots of events surrounding the marathon (see below) so it might be a shame to miss them, especially if you come with some supporters that will not run with you. If you run as a team, at least more than 6 or 7, then it might be easier for you to use a travel agent. This will guarantee everyone in your team gets accomodation and bids for the race. The official travel agent for the Médoc marathon is Tutti Quanti. It is a much more expensive than organising everything yourself but if you are a large group, this will make things much easier. I have used them once and they have been very professionnal and helpful. You will not need to rent a car if you are staying in a hotel as most of them offer a shuttle service during all the week-end. If you want more freedom to do some tourism and/or are not staying in a hotel, then you will need a car. To find a good parking spot the morning of the race, make sure to arrive in Pauillac no later than 8am, before roads close at the entrance of Pauillac. I personally park near the supermarket and always find some space. 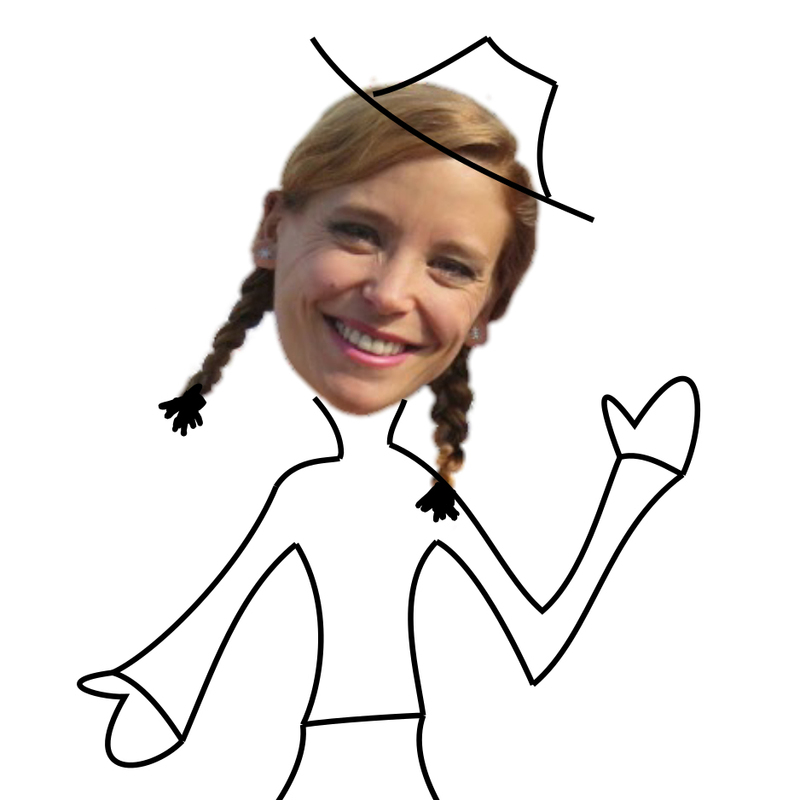 This is written in the settlement! You cannot run the race if you are not wearing a costume! Some teams even push a carnival float! If you are running with some friends, try to find a team costume. There is a theme every year. Past themes include carnival, science fiction, civilizations and animals. Be as creative as you can, thinking of a few elements you can drop after 10 or 15 km to keep running. 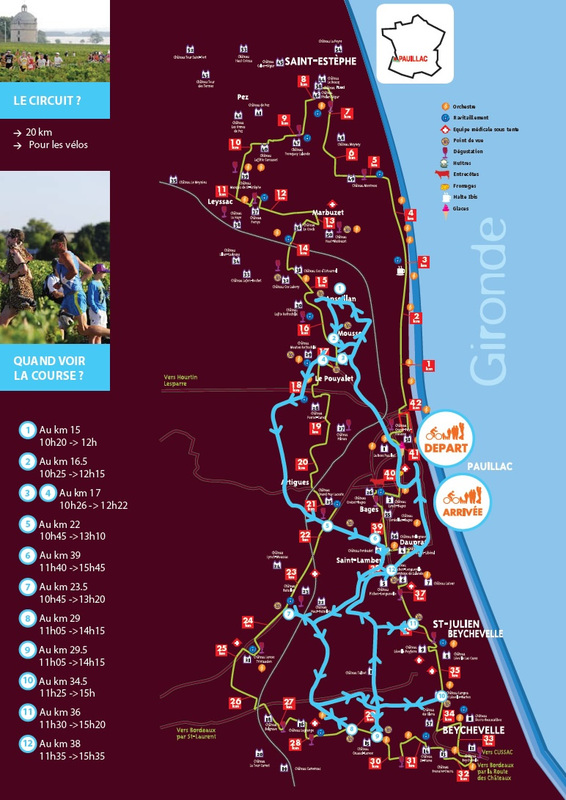 Beware, the Médoc marathon takes place on the 2nd Saturday of September, and it is usually very hot (>30°C). Make sure to wear an appropriate costume (Sponge Bob & Winnie might not be the best option…) and drink lots of water… Not only wine! You can take with you as many supporters as you want, they will never get bored looking at this giant carnival! There is a route dedicated to supporters walking or cycling, allowing them to see runners at different spots. You can find here the example for the 2014 Marathon. During the race and after, there are lots of animations in Pauillac (games, shows, etc.). The day after the race there is a nice 10km walk in several châteaux with wine tastings and music bands. This costs only 5€ with no need to register in advance. This allows supporters to experience a little bit of what runners have seen the day before. The more, the better! It will not be difficult for you to motivate a few friends to join this crazy marathon. And this will make it more fun to think of your costume together.